I returned from running a two week long SIP training event in Calgary to find my DD-WRT flashed Asus N-16 router had suffered a lightning strike in my absence, and was no longer functional. Not being able to survive without a router, I headed out the Best Buy to find the best DD-WRT capable router (with an AC radio) currently available in a big box store. I ended up with the Asus RT-AC66R (also called the Asus RT-AC66U). SIP is an application layer signaling protocol standardized by the IETF in RFC 3261. That word ‘signaling’ means that it is a protocol used to create a kind of ‘control channel’ for an exchange of media (in telephony this is Real-time Transport Protocol or RTP). That’s not to say that we don’t break the rules occasionally, and stuff some text (media) into a SIP MESSAGE, but for the most part, SIP is strictly for control. Paradise Lost: First Contact is a successfully funded Kickstarter campaign; the first title for the Spanish indie developer Asthree Works. Although the Kickstarter campaign has ended, you can still fund the game through Dec. 31, 2013 via the mechanisms described on the official Paradise Lost: First Contact website. In Paradise Lost: First Contact, you play as an ultra intelligent alien plant attempting to escape from a government research facility. Enough said. Sign me up. After all, who hasn’t laid awake at night wondering what it would be like to live as a photosynthetic alien? AGD Interactive Studios is a company devoted to the resurrection of the adventure game genera that was created by Sierra On-Line and wildly popular with PC gamers in late 80’s and 90’s. Their goal is achieved primarily by enhancing and updating old Sierra titles, then offering them for free download. However, AGD has created one original pay-to-play title, Al Emmo: The Lost Dutchman’s Mine, and has another one in the works, Mage’s Initiation: Reign of the Elements. 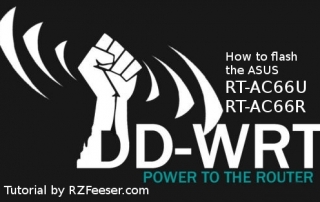 These steps were created using a DD-WRT enabled Asus N-16 router running the firmware “DD-WRT v24-sp2 (12/20/11) mega”. There is more than one way to skin a cat. So here is one way to put up a Minecraft server for you and your buddies to play on. This solution assumes you will be hosting the server on your local LAN, and therefore will need to transverse a NAT if you are to make the server available across the WAN (i.e. if you want your buddies to be able to connect to your server from their own LANs). This is a basic extensions.conf (the Asterisk dialplan) configuration for Asterisk v1.8. As you can see, only two lines are actually necessary in extensions.conf for the SIP user agents defined in sip.conf to be able to call one another. If you’re confused, than examine this dialplan in conjunction with my previous blog post on configuring a basic sip.conf in Asterisk 1.8. It may also enhance your understanding of Asterisk to examine the script I posted that complies any version of Asterisk in Ubutnu. For the past few months, I’ve been regularly lecturing on the architecture of the IP Multimedia Subsystem, and VoLTE access. Therefore, I thought it fitting to take a step back and explore some classic telephony. Western Electric produced the WE 500 in 1949, a design that was Bell’s standard issue deskphone from 1950 to 1984 (when the Bell divestiture into ‘Baby Bells took place’).